We were delighted to organize the EES: New Directions in Energy Research symposium to mark the 10th anniversary of Energy & Environmental Science as a leading journal for the community. Hosted by founding Editorial Board Chair Professor Nathan Lewis at Caltech, it was a wonderful opportunity to connect with the community, celebrate Prof. Lewis’ inspirational leadership, and consider grand challenges in the field. Prof. Lewis opened the day with a forward-looking talk, highlighting potential opportunities and challenges he hopes the community can address in the next decade and beyond to build on the immense progress of the field. Interdisciplinary developments from materials in extreme environments to economic considerations for energy storage to alternative fuels could mean progress towards long-term sustainability. Professor Nathan Lewis gives a talk to a packed audience in Hameetman Auditorium at Caltech. Current and founding Editorial Board members shared their significant advances throughout the years relating to artificial photosynthesis, PV and solar fuels, water oxidation and hydrogen production, and catalyst synthesis. Opportunities to connect with the community throughout the symposium | Panel discussion with former and current Editorial Board members Profs. Nathan Lewis, Robert Socolow, Joseph Hupp, Arthur Nozik, Michael Wasielewski, Wolfgang Lubitz, Kyung Byung Yoon (left to right). The closing panel brought together all former and current Board members to integrate the topics throughout the day and answer questions from attendees. Speakers advised authors interested in publishing articles in EES to approach important problems for the community in a novel and impactful way and to compellingly express their findings to a broad audience. They identified additional opportunities for the field, including robustness and survivability of systems, fundamentally understanding processes to enable new breakthroughs, and considering issues that might arise at the systems level. Thank you to everyone who was able to join us as we loved meeting everyone! As speakers continue their research along their interdisciplinary topics, many contributions will appear EES in the form of articles, Perspectives, and an Editorial. Also keep an eye out for an updated scope on the EES journal website to incorporate major topics from the Editorial Board meeting and symposium. We hope that you continue advancing new directions in your area of interest and that you submit your high-quality work to EES online. 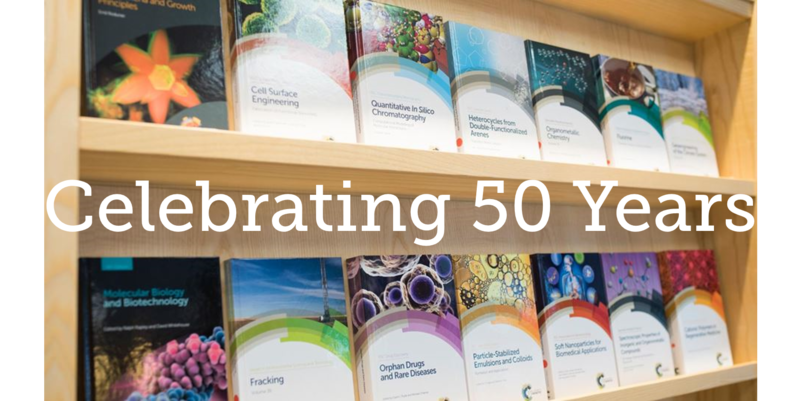 This month, the Royal Society of Chemistry is celebrating its Golden Anniversary of Books, marking 50 years since the publication of the first book in our Specialist Periodical Reports series. With titles spanning the breadth of the chemical sciences for a variety of audiences, from popular science books to textbooks to professional reference books, the books program continues to thrive thanks to contributions from our international community. The RSC’s portfolio of textbooks provide an approachable and engaging suite of books for all students of the chemical sciences, from the fundamentals of organic, inorganic and physical chemistry to the frontiers of knowledge in pharmaceutical development and forensic science. The high-quality content of our books enables us to fully support learners and contribute to the development of the next generation of professional chemists. We are keen to understand how you find, access and read electronic (digital) non-fiction books in a professional or academic context, and would appreciate your insights through this short survey that will be available through December 15th, 2018. Please join us in celebrating 50 years of books, made possible by our outstanding authors, and read on to learn more about two who recently finished their second book with us. We recently published a brand new textbook from two California-based co-authors and leading educators, Professor Christopher Walsh, from Stanford University and Professor Yi Tang from the University of California, Los Angeles. Their new textbook, Chemical Biology of Human Vitamins, is now the second that they have authored together with the RSC. Professor Walsh and Professor Tang are happy to share their new book with the world, and gave us some insights into their motivations and strategies for writing it, and explain what makes this such a fascinating and timely topic. Christopher Walsh’s research has focused on enzymes and enzyme inhibitors, and specifically on antibiotics and biosynthesis of biologically and medicinally active natural products. He has extensive academic leadership and biotechnology industry experience and is a member of the National Academy of Sciences, National Academy of Medicine, the American Academy of Arts and Sciences, and the American Philosophical Society. In 2010, he received the Welch Award in Chemistry for his pioneering work in biological chemistry along with co-recipient JoAnne Stubbe. Yi Tang holds joint appointments in the Department of Chemistry and Biochemistry and the Department of Bioengineering at UCLA. He has received numerous accolades, including the Arthur C. Cope Scholar Award and the Eli Lilly Award in Biological Chemistry. Over many decades, scientists discovered thirteen essential molecules that humans lost the capacity to make as they evolved from primordial organisms. These thirteen vitamins are crucial for metabolism, and this book chemocentrically analyzes the mode of action of each one of them to tell a compelling tale of the challenges that every human cell faces. It provides a thorough view on the key small molecules of life, the human vitamins and their active coenzyme forms. Detailing how their unique chemistries control the interconversion and the flux of hundreds of central human metabolites, Chemical Biology of Human Vitamins examines the parallel and convergent tracks of the vitamins and their coenzyme forms. A book often requires a great deal of dedication, and Professor Walsh explained how he works through the writing process to assemble the final product. “I tend to write straight through a project, starting before breakfast to capture early morning ideas. I pause when a major section or chapter is finished and only when I know how to start the next topic. I write to the exclusion of almost every other activity and can write a chapter a week with embedded artwork in first draft. The first draft goes to my coauthor Prof Tang for additions, omissions, corrections, deletions, and most importantly setting the tone and aesthetics of each chapter.” The editorial staff at the RSC were impressed with how quickly these authors were able to work, often beating target deadlines and finishing ahead of schedule. “It was an efficient arrangement and we were able to get through each book in about eight months,” says Professor Tang. 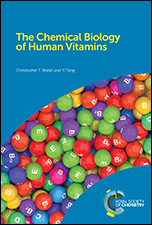 To request an inspection copy of Profs Walsh and Tang’s latest textbook, Chemical Biology of Human Vitamins, use our online form. For more about our textbook and professional book publishing, or to propose an idea for a book please see our guidance for authors and readers. Jeremy Allen, PhD, was recently appointed the Deputy Editor of Chemical Science, the flagship journal of the Royal Society of Chemistry. While he is based in Cambridge in the UK, as part of his role as Deputy Editor, Jeremy works with international staff and attends conferences around the globe. We first met Jeremy at the 3rd annual University of California Chemical Symposium, where many attendees were interested in learning more about his career path and what led him to his current position. Read on to learn about Jeremy’s current role and how he went from earning a PhD to a rewarding career in publishing! “I guess I fell into my career in publishing through a desire to move away from active research while still keeping in touch with science. After my undergraduate degree I completed a PhD in computational chemistry. I was unsure about what to do as I was getting to the end of my graduate studies, and wasn’t really sure which direction to go in, but then a post doc opportunity turned up so I thought I’d give it a go. I stuck with my post doc for about 5 years altogether but for the last couple of years I knew that research wasn’t going to be the career for me – I didn’t have the passion and drive for the work that I felt I’d need to be a really successful academic and lecturing didn’t really appeal to me too much – so I started to look around for other industries/roles to move into. By chance I bumped into a former PhD student from my post doc group who was working at the RSC and she mentioned that they were recruiting. Like her I had a similar interest in science communication and I enjoyed proof reading/editing papers and theses from my group so thought I’d give it a try. Jeremy Allen with poster prize winners at the 4th International Conference on Energy and Biological Materials. After working as a Publishing Editor for a little over 3 years, I then changed position to become Deputy Editor for Chemical Science, ChemComm and Chemical Society Reviews. This role is more about the development of a journal, rather than production, and is much more varied. I now work alongside the Executive Editor and the Editorial Board, analyzing journal performance and planning the longer term strategy. I am responsible for putting together plans of how much work we want to commission for the journals I work on and what we will do to enhance their visibility within the community. I also go to conferences, like a recent GRC (Gordon Research Conference), to connect with academics, to hear of the new developments in a given field and to get direct feedback on our journals and the publishing landscape from our authors/reviewers point of view. My role has been taking me to amazing new places around the world – I recently attended a conference in China, the 4th ICEBM. 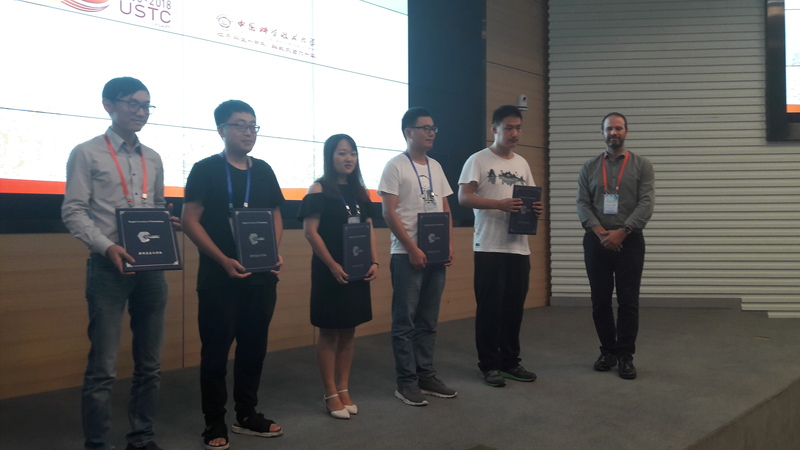 There I had the opportunity to meet poster prize winners, colleagues like Hongmei Peng from the RSC’s Shanghai office, and Xinhe Bao, who was one of the organizers and also serves on the Editorial Board for Energy & Environmental Science. 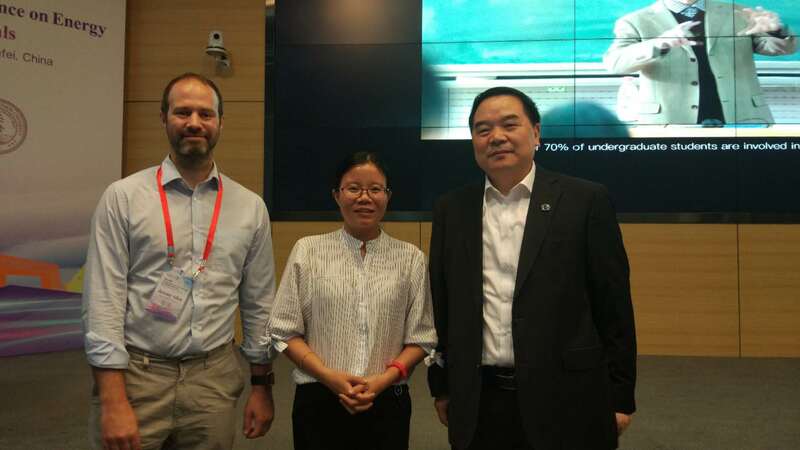 Jeremy Allen with Hongmei Peng (center) from the RSC Shanghai office and Energy & Environmental Science Editorial Board Member Xinhe Bao. We’re happy to have Jeremy on board with Chemical Science and we’re excited to see what the future will hold as the journal continues to develop. The upcoming year will surely be a time of excitement, with IUPAC declaring 2019 the International Year of the Periodic Table. We expect lots of events and opportunities to meet more RSC Editorial Board Members, Associate Editors, and Deputy Editors like Jeremy. 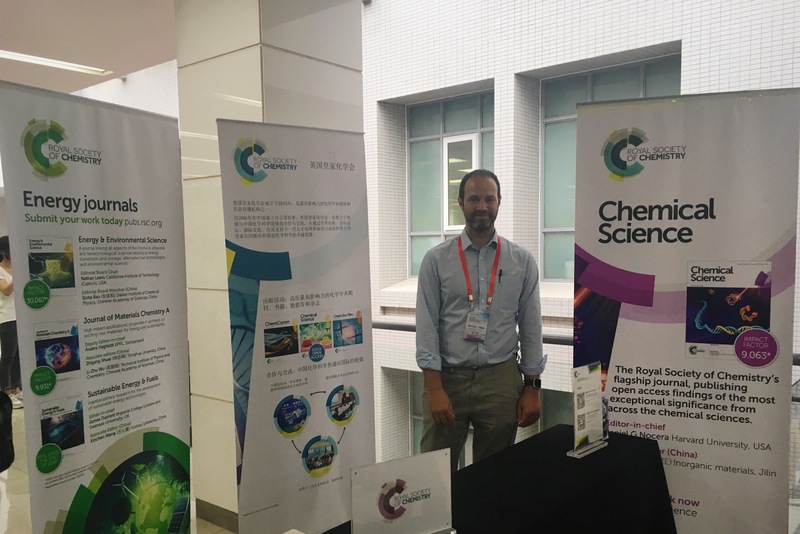 Next time you’re at a conference that is being supported by Chemical Science, keep an eye out for Jeremy and make sure to say hello! CHICAGO, IL – SEPTEMBER 27: The University of Chicago Institute for Molecular Engineering in partnership with the National Science Foundation, The Institution of Chemical Engineers and Molecular Systems Design & Engineering hosted “Frontiers of Molecular Engineering” at the University of Chicago in Chicago, Illinois. (Photo credit: Randy Belice for the University of Chicago.) © Institute for Molecular Engineering at the University of Chicago. Beyond publishing high-quality journals, The Royal Society of Chemistry aims to bring together communities of researchers from all stages of their careers and from around the world for active exchange of ideas. The inaugural Frontiers of Molecular Engineering Symposium was organized by members of the Molecular Systems Design & Engineering (MSDE) team and hosted by the Institute for Molecular Engineering (IME) at the University of Chicago. 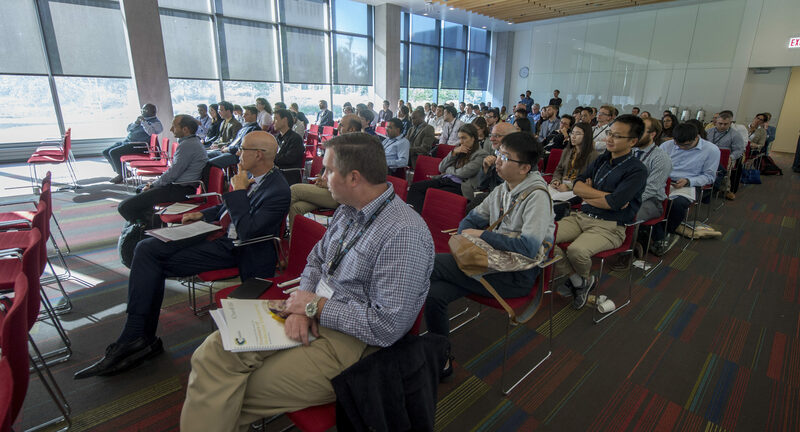 This first-of-its-kind symposium brought together world leaders in the emerging field of molecular engineering to share their latest work and to discuss key challenges to innovation. Left to right: Laura Fisher, Andy Ferguson, Luke Connal, Marcus Müller, Patrick Stayton, Neil Hammond, and Kristi Kiick. As a joint venture between the Royal Society of Chemistry and the Institution of Chemical Engineers (IChemE), MSDE is a truly interdisciplinary, first-of-its kind journal, crossing the boundary between chemistry and chemical engineering. Dr. Neil Hammond, Executive Editor, and Dr. Laura Fisher, Deputy Editor of MSDE, work with the Editorial Board to develop the journal and the community that it caters to – spanning experimental, theoretical, and computational research in physics, biology, chemistry, engineering, and materials science, with the international Editorial Board reflecting the diversity of the field. Over the course of the two-day event, 25 researchers convened to discuss their discoveries and the future of molecular engineering with 120 attendees that included researchers from all levels, from graduate students to experienced research scientists. Speakers came from institutions across the globe, including the University of Chicago, Argonne National Laboratory, Stanford University, Massachusetts Institute of Technology, University of California at Berkeley, Australian National University, Imperial College London, and Collège de France. 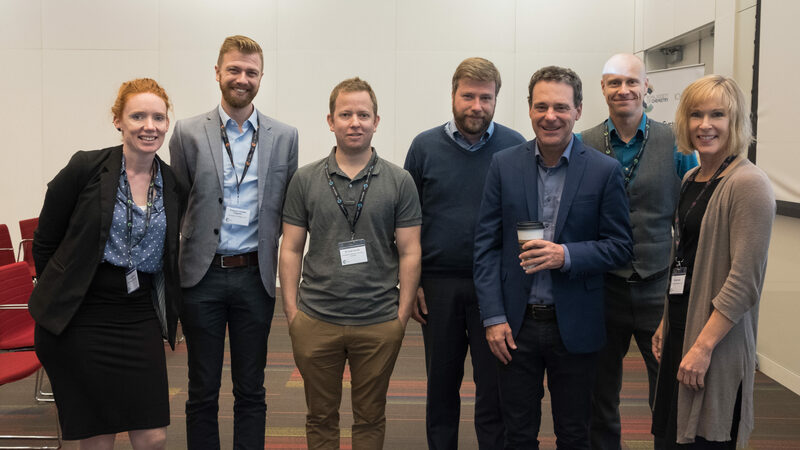 Along with Laura and Neil, almost all of the Editorial Board members attended and contributed to the success of the symposium, including Juan de Pablo, Claire Adjiman, Luke Connal, Andrew de Mello, Andrew Ferguson, Samson Jenekhe, Kristi Kiick and Patrick Stayton. The Chair of the Editorial Board, Juan de Pablo, Liew Family Professor in Molecular Engineering at IME and vice president of national laboratories at UChicago, opened the symposium, noting that advances in the ability to manipulate molecules “has led to the concept of using molecular principles to engineer solutions to societal challenges.” The conference included a panel discussion focused on how molecular engineering is taught and researched at three of the key molecular engineering institutes: Board Members Claire Adjiman, Professor of Chemical Engineering and co-Director of the Institute for Molecular Science and Engineering at Imperial College London, and Patrick Stayton, Bioengineering Distinguished Term Professor and Director of the Molecular Engineering and Sciences Institute at the University of Washington, joined Matthew Tirrell, dean and founding Pritzker director of the IME for the panel discussion on the past, present, and future of molecular engineering. Poornima Padmanabhan is an Assistant Professor of Chemical Engineering at the Rochester Institute of Technology, and her paper on gravitational collapse of colloidal gels was featured on the cover of Soft Matter earlier this year. Emphasizing the interdisciplinarity of the emerging molecular engineering field, she said she attended the event to “learn about the cutting-edge science and get new ideas for my research.” Frontiers of Molecular Engineering initiated in-depth discussions of critical issues that intersect with this new field of scientific study. Presentations focused primarily on fundamental materials science, with an emphasis on global challenges in health care and the environment. On the health care side, Sarah Heilshorn of Stanford, who also serves on the Editorial Board of Biomaterials Science, covered new developments in stem cell transplantation. John Rogers of Northwestern University discussed bio-resorbable implants and the development of water-soluble transient electronics. Jeffrey Hubbell, Eugene Bell Professor of Tissue Engineering at IME, studies cancer immunotherapy, or ways to use the body’s immune system to find and fight cancer, and highlighted innovations in drug delivery systems for tumor suppression. Specifically, he discussed whether targeted therapies injected into the bloodstream could be as effective as treatments injected into tumors, with fewer adverse effects. Hubbell remarked, “We found that if we use targeted drugs, we have just as much efficacy, with less toxicity.” MSDE Editorial Board Member Pat Stayton discussed his group’s work on molecular engineering of macromolecular therapeutics. Invited speakers Sarah Heilshorn, Jeffrey Hubell, John Rogers, Seth Darling, Patrick Stayton, and Chong Liu. (Photo credit: Randy Belice for the University of Chicago.) © Institute for Molecular Engineering at the University of Chicago. Presentations on the environment included the work of Argonne National Laboratory’s Seth Darling on water technologies with functionalities ranging from energy transduction to pollution mitigation. Chong Liu, Assistant Professor at IME, also presented her research on water, which focuses on materials for electrochemical resource mining; this work is applicable to, for example, uranium extraction from seawater or heavy metals recovery from wastewater. During the “Molecular Engineering for Energy Research” session, Chaired by Boeing-Martin Professor of Chemical Engineering and Professor of Chemistry at the University of Washington and MSDE Editorial Board Member Samson Jenekhe, Christine Luscombe discussed her research on conducting polymers for wearable electronics. Christine, who is the Campbell Career Development Endowed Professor in the Department of Materials Science and Engineering and part of the Clean Energy Institute at the University of Washington, explained her work on how to design and build organic electronics that can be stretched while retaining the optical properties for energy capture solutions. During the session on “Molecular Engineering of Soft Biological Assemblies,” Lawrence Livermore National Laboratory’s Chris Spadaccini spoke on additive manufacturing. Chinedum Osuji, who recently moved from Yale University to become Eduardo D. Glandt Presidential Professor in Chemical and Biomolecular Engineering at the University of Pennsylvania, presented self-assembled polymers and molecular materials with bespoke textures. MSDE Board Member Luke Connal from Australian National University presented his research using enzymes as the inspiration for designing and engineering catalysts. Conference programming also featured a poster session with work from more than 40 researchers from across the globe; held in the modern and spacious atrium of the IME, the poster session was an opportunity for attendees to showcase and discuss their research with one another and get to know their peers and seek advice from leading experts. From the myriad engaging discussions, attendees learned from one another and surely to come are many future collaborations and continued friendships. Vivek Sharma, an Assistant Professor of Chemical Engineering at the University of Illinois at Chicago, is interested in soft matter interfaces and rheology, the connection between the macroscopic behavior & applications and the physicochemical properties of the underlying molecular/macromolecular species. He was drawn to the meeting by the opportunity to attend cutting-edge research presentations by leading researchers while simultaneously witnessing how the molecular systems engineering approach is already impacting diverse scientific disciplines and quests. 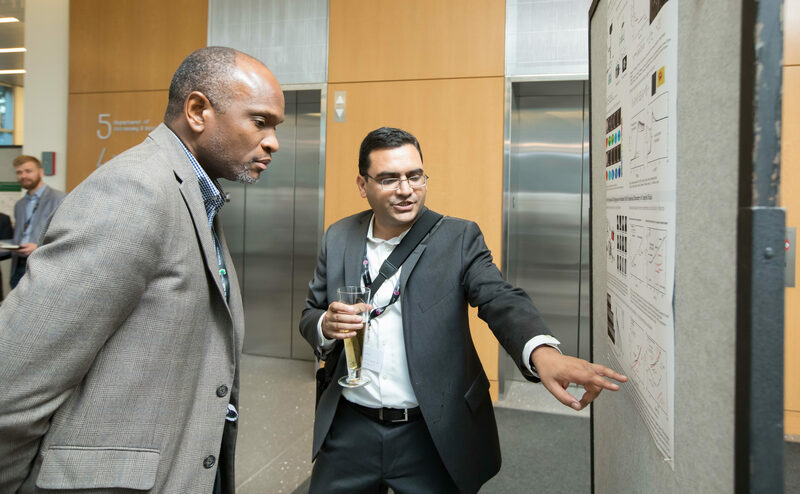 Vivek Sharma discusses his research in soft matter and rheology with Chinedum Osuji during the poster session at the Frontiers of Molecular Engineering Symposium at the Institute for Molecular Engineering on September 27, 2018. (Photo credit: Anne Ryan) © Institute for Molecular Engineering at the University of Chicago. 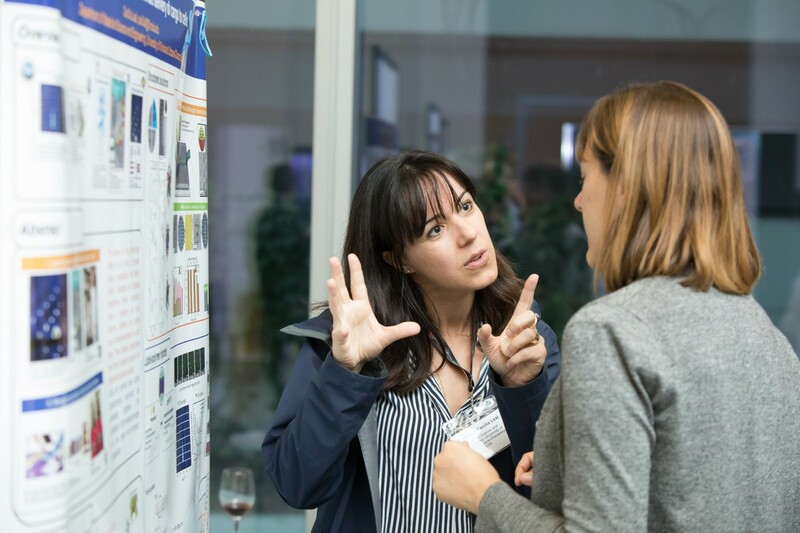 Cecilia Leal discusses her research on microfluidic synthesis of cubosomes and cuboplexes with Sarah Heilshorn at the Frontiers of Molecular Engineering Symposium on September 27 2018. Cecilia Leal is an Assistant Professor of Materials Science at the University of Illinois at Urbana-Champaign, studying cubosomes. She presented her research on microfluidic synthesis of cubosomes and cuboplexes, loaded with nucleic acid. She said the best part of the meeting was that there were plenty of opportunities to chat with colleagues and friends. Highlights from the poster session and reception held in the atrium of the IME during the Frontiers of Molecular Engineering symposium on September 27 2018. © Institute for Molecular Engineering at the University of Chicago. Prof. Juan de Pablo (at right) presented the first MSDE Emerging Investigator Award to Prof. Andrew Ferguson. © Institute for Molecular Engineering at the University of Chicago. 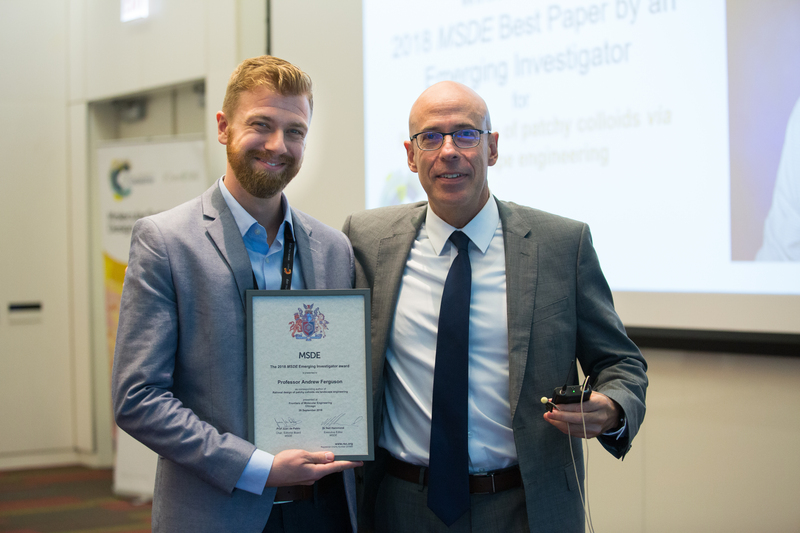 The second day also included the presentation of MSDE’s inaugural prize for best emerging investigator paper to Andrew Ferguson, Associate Professor of Molecular Engineering at IME. Ferguson was honored for his paper “Rational design of patchy colloids via landscape engineering.” The paper was part of a themed issue, which features work that showcases molecular engineering approaches from leading scientists in the earlier stages of their independent research careers. The 2018 Molecular Systems Design & Engineering Emerging Investigators were individually nominated by members of the journal Editorial and Advisory Boards in recognition of their potential to influence future directions in the field. The Board has been so impressed with Andrew that he was asked to join them, and is now one of the newest Editorial Board Members of MSDE. Matthew Tirrell, Director of the IME. (Photo credit: Randy Belice for the University of Chicago.) © Institute for Molecular Engineering at the University of Chicago. Frontiers of Molecular Engineering was co-organized by the Royal Society of Chemistry and the Institute for Molecular Engineering at the University of Chicago sponsored by Molecular Systems Design & Engineering, the Institution of Chemical Engineers, and the National Science Foundation. This article has been enhanced with adapted content from an original report, courtesy of the Institute for Molecular Engineering at the University of Chicago. We wish to extend our sincerest congratulations to all of our Board Members, as they continue to impress the community with their achievements and contributions! Several of our Chemical Science Board Members have been recognized for outstanding contributions to their respective fields. Professor Vy Dong was recognized for her contributions and merit by the University of California, Irvine with a Lauds and Laurels Award and also received a Distinguished Alumni Award. Professor Dean Toste, who has served as Associate Editor for Chemical Science since the journal launched in 2010 was honored by the Royal Society of Chemistry with the 2018 Catalysis in Organic Chemistry Award. The Gerald E. K. Branch Distinguished Professor Of Chemistry at UC Berkeley was also elected to the American Academy of Arts and Sciences and won the 2018 Janssen Prize for Creativity in Organic Synthesis. Dmitri Talapin was named Louis Block Professor in the Department of Chemistry at the University of Chicago and was recently selected by the ACS for the 2018 Inorganic Nanoscience Award for his pioneering work in the field. Many other Board Members across the US and Canada have been recognized for their accomplishments with a variety of awards, prizes, and appointments. Sarah Tolbert was appointed the Director of the new UCLA-led Synthetic Control Across Length-scales for Advancing Rechargeables, or SCALAR. Sarah is a professor of Chemistry & Biochemistry and Materials Science & Engineering and serves on the Editorial Board of Nanoscale Horizons and led the organizing committee of the 10th International Mesostructured Materials Symposium, IMMS10, which took place September 10-13, 2018 at UCLA. Green Chemistry Associate Editor Chao-Jun Li was awarded a prestigious Killam Research Fellowship by the Canada Council for the Arts. CJ is the E.B. Eddy Chair Professor of Chemistry at McGill University, Canada Research Chair in Green/Organic Chemistry, and Director of the NSERC CREATE Center for Green Chemistry Training. Professor Heather Maynard serves on the Editorial Board of Polymer Chemistry and was selected for the 2018 UCLA Faculty Student Development Diversity, Equity and Inclusion Award. At this year’s annual meeting of the American Association for the Advancement of Science (AAAS), Professor Geoffrey Coates was presented with the 2017 Newcomb Cleveland Prize from the for the best paper published in Science. Geoffrey serves on the Editorial Board of Organic Chemistry Frontiers. 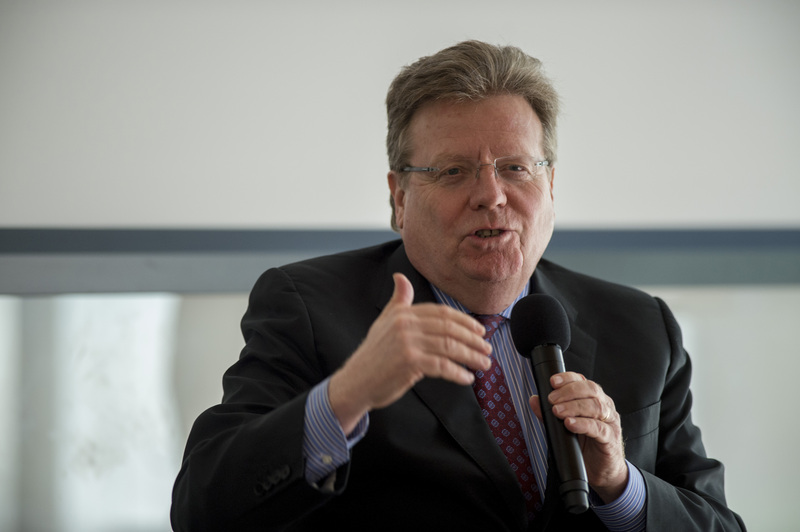 Peter Vikesland has been named the Nick Prillaman Professor in Engineering by the Virginia Tech Board of Visitors. Peter is the Editor-in-Chief of Environmental Science: Nano and a professor of the civil and environmental engineering in the College of Engineering at Virginia Tech. Other North American Board Members were honored by the RSC with awards and medals for their contributions to advancing the chemical sciences. Professor Bradley Moore, Editorial Board Chair of Natural Product Reports, was honored by the RSC with the Natural Product Award for his pioneering discoveries in the chemical biology, biosynthesis, genomics and engineering of marine natural products. Professor Warren Piers was recognized for his contributions to detailed mechanistic understanding of catalytic reactions with the 2018 Ludwig Mond Award. Warren is S. Robert Blair Chair in Polymerization Catalysts and Canada Research Chair in the Mechanisms of Homogeneous Catalysis and serves as an Associate Editor for Dalton Transactions. Professor Yang Shao-Horn was honored by the RSC as the first woman to win the Faraday Medal for her work at the chemical/materials physics and physical/materials chemistry interfaces. Prof. Shao-Yang serves on the Editorial Board of Energy & Environmental Sciences. 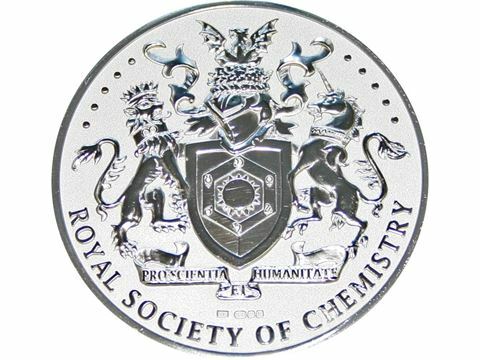 See all of the 2018 winners of Royal Society of Chemistry Prizes & Awards, which include many of our Advisory Board Members, colleagues and friends from around the world. 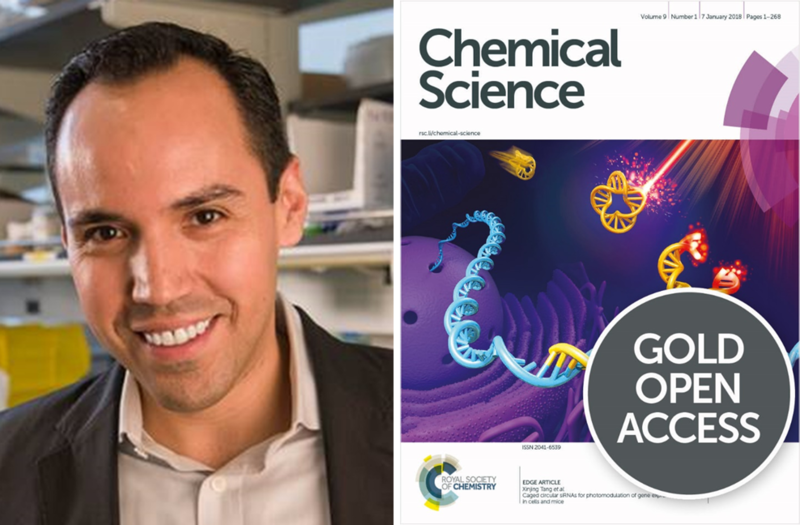 Our flagship journal Chemical Science, with its dedicated team of Associate Editors, aims to publish research that’s most important to the chemical sciences community. We were excited to announce the appointment of Professor Luis Campos from Columbia University as an editor for polymer science on the Chemical Science blog, and we enjoyed taking some time to get to know him on a more personal level, from his views on publishing to his love of improv! What are you most looking forward to as an Associate Editor at Chemical Science? I’m excited to be a part of Chem Sci because I am hoping to serve and represent the polymer community, bringing visibility to the creative work that many people are doing worldwide. With its broad target audience, Chem Sci is an ideal venue to highlight the work of talented young chemists. What recommendations do you have about publishing journal articles that was helpful in your experience? Clarity and attention to details in the story you’re telling. Setting the stage in a paper is as important as the results one describes. For example, in my group, we’ve found it very useful to focus on “Figure 1” to try to use images to represent the hypothesis or the story that we’re trying to tell in the paper. It is not always straightforward in all cases, but it’s an important exercise when we write papers. There are many other tips floating around, and I highly recommend that all authors keep an open mind when learning how to write. Could you share something you’re excited about related to your research or the field? My group studies small molecules and macromolecules in a way that I can categorize as falling in the bucket of physical macromolecular chemistry, akin to the well-known field of physical organic chemistry. Interestingly, there is not one particular topic that I’m excited about in my research field since there are many exciting challenges out there. I recently participated in an NSF-led workshop to establish a 10-year roadmap of challenges in polymer science and engineering. The final report is a valuable piece, outlining some of the most exciting and challenging areas of research. the polymer community is awesome! However, there is one thing that I am passionate about – the polymer community is awesome! It’s a very warm, kind, understanding, and supportive group of people. I have had my share of ups and downs, and the support I’ve received from friends and colleagues in the community is just amazing and energizing. How did you get involved with improv? A friend of mine introduced me to Thank You, Robot, an improv comedy group in NYC. They are really talented individuals who perform regularly in the city. Each set involves a research scientist presenting their work (~10 min talk). Then, the improv team does a whole comedy routine around it. It’s super entertaining and fun and I always look forward to working with them and their shows. For more tips on how to publish your research, you might find some helpful notes from the RSC in the online guide. We warmly welcome Luis to the Chemical Science team and look forward to publishing more of the community’s innovative research, especially in the areas of polymer chemistry and organic & functional materials! We introduced the Certificate of Excellence in 2017 and continued it in 2018 as a way for institutions to recognize students who have shown outstanding achievement in the chemical sciences; this year we want to showcase one of the recipients who embodies the spirit of the award and who inspires those around her to pursue their dreams while making a difference not only in their own communities but also those around the world. 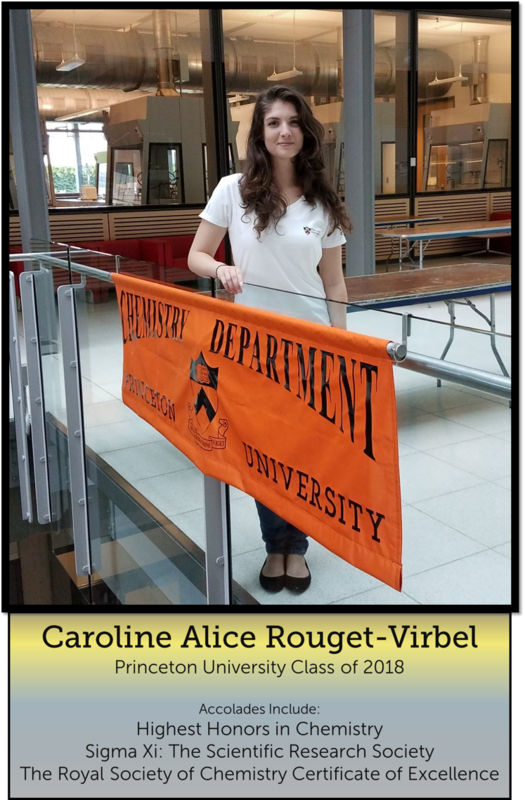 We are pleased to introduce you to Caroline Alice Rouget-Virbel, who will be starting her graduate studies at the University of California, Berkeley this fall. At Princeton’s Class Day ceremony for Chemistry seniors in the Class of 2018, Caroline was recognized for her academic performance and her contributions to the department. She earned Highest Honors in Chemistry, was elected to Sigma Xi: The Scientific Research Society, and was awarded The Royal Society of Chemistry’s Certificate of Excellence. But Caroline was not the typical Princeton University undergraduate. She grew up in Pélissanne, a small town in the south of France, in what most would describe as a rural area. She attended a public school and then applied to an international boarding school, Ecole Internationale de Manosque (EIM) in the French Alps, for her high school education. There she obtained a British OIB (International Optional Baccalaureate) diploma, a joint educational degree between the French Department of Education and the University of Cambridge. While in high school, Caroline developed interests in both science and foreign languages, which in turn got her excited about applying to foreign universities in the U.S. and England. To put this in context, Caroline grew up in a comprehensively working class environment and it was not typical and expected in her family to apply to college. To then take the step of applying outside of France for higher education was quite remarkable. She took a major leap of faith and applied to Princeton University. When she was offered admission along with a generous grant for financial aid, she simply could not turn down the opportunity. Needless to say, her acceptance of Princeton’s offer not only provided a highly constructive four-year experience for Caroline, but her contributions to the department and to the campus as a whole proved to be a plus for the University community. During her first week on the Princeton campus, Caroline quickly identified a way to produce a steady income. Always determined to pay her own bills and add to her personal savings as much as possible, she held down a paid position as a Dining Services Student Manager, training new incoming workers and overseeing meal services for her dining hall and for special catered events. In fact, she continued to hold that job during all four years at Princeton. The summer after freshman year, she added another country to her growing list of travel experiences by serving as a volunteer at the Mahatma Gandhi Orphanage in Jaipur, India. While there, she assisted with childcare, global health initiatives, and infectious disease prevention efforts. And, of course, she explored the area and soaked in the culture. Caroline hails from Pélissanne, a small town in rural France and is the first person in her family to apply for college, but by following her passion for science, foreign language, and community service, she has managed to expand her horizons and travel the globe. As a first semester junior, Caroline decided to join a research lab a full term earlier than her peers. That plan led to a round of investigations to identify a lab that would be the right fit with her interests and her style of learning. By the second month of the term, she was hard at work in the lab of Professor David W. MacMillan, the James S. McDonnell Distinguished University Professor of Chemistry. While 12 to 14 hours of original research per week is the expectation for young chemists, Caroline spent as much time on her project as the demands of her coursework and extracurricular commitments permitted. That dedication spoke volumes since the junior year for chemistry majors is extremely demanding with regard to reading assignments, papers to write, problem sets to complete, discussion groups to attend, and the time commitment need to complete the required experimental laboratory course. She also took on the role of undergraduate preceptor in our newly restructured organic chemistry sequence. Preceptors assist instructors of auxiliary class sessions that work on learning material and practicing skills outside of the lecture period. Caroline was one of the preceptors instrumental in developing and running review sessions prior to exams. She also spent many hours tutoring students one-on-one, providing not only academic guidance, but also a “Can Do” attitude for her students who were concerned about doing well in mastering a difficult subject. During that same period, Caroline elected to plan for a semester of study abroad with the goal of completing her Spring 2017 term in Australia. The opportunity to explore another country and live in yet another culture proved irresistible. Within no time at all, plans were put in place for her to study at the University of Melbourne. Adjusting to a program with courses that involved no periodic evaluation until the final exam, blending into a different culture, completing an original research project in a new chemistry laboratory, and pursuing opportunities to explore Australia formed the perfect combination for this intellectually curious student. And, as luck would have it, her sister was pursuing a program in Southeast Asia, so they were able to meet up and travel together, exploring the beautiful landscape of New Zealand, spending two full weeks road-tripping and camping around the South island. Caroline’s world was expanding rapidly from the rural area of France into a global viewpoint. To quote her faculty mentor, Professor MacMillan, “Caroline is one of the best undergraduates that I have ever worked with in 20 years of being an independent academic. She is smart, driven, funny, creative, and a team player. She is beloved by my research group and she can hold her own with any current graduate student in terms of her research drive.” Caroline has been accepted into the chemistry PhD program at the University of California, Berkeley. We have no doubts whatsoever that Caroline will continue to be an outstanding student and researcher as she works towards her graduate degree. 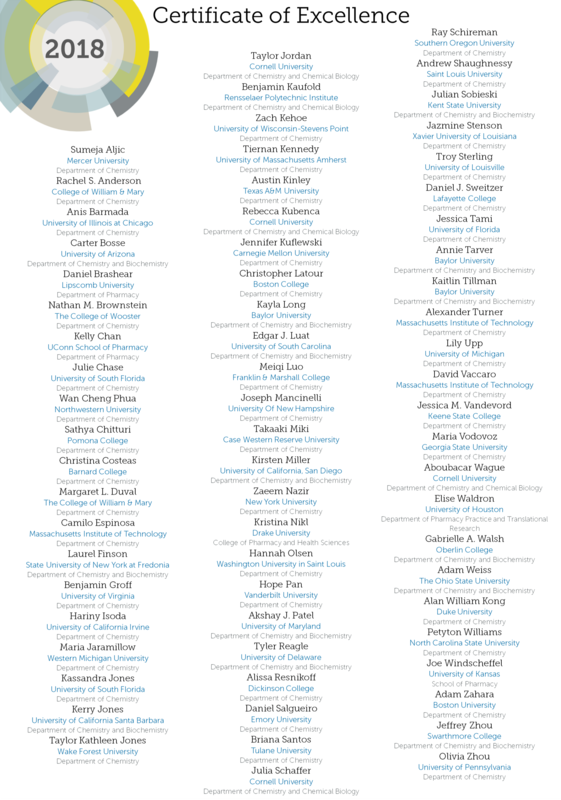 Special thank you to Kirsten M. Arentzen, Undergraduate Administrator for the Department of Chemistry at Princeton University, for contributing the majority of the content for this article, for continuously supporting the student body, and encouraging the recognition of outstanding undergraduates. We look forward to attending the upcoming ACS National Meeting with colleagues traveling to Boston from both the DC and UK offices. 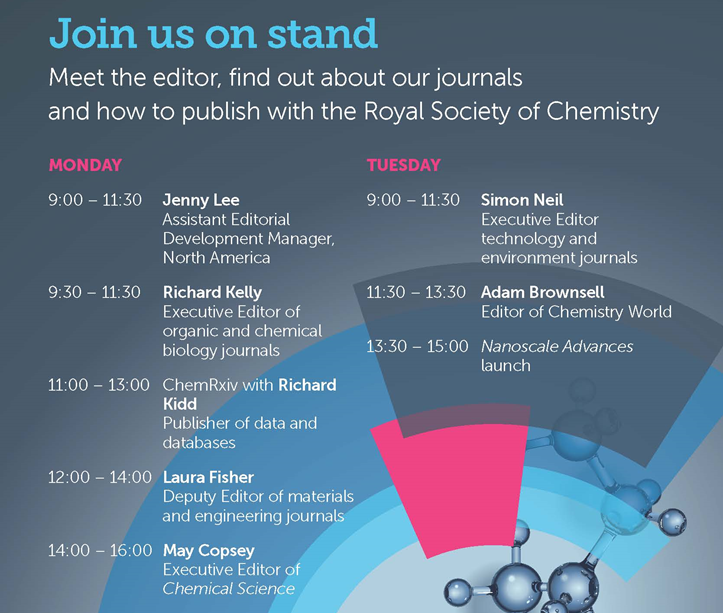 We would love to meet you so please stop by Booth 2008 for conversations with the Editor from the flagship journal Chemical Science and others across the portfolio. A great time to meet most of us is Sunday from 5:30-8:30PM when the Expo opens, or individually based on the schedule. In line with the conference theme of Nanoscience, Nanotechnology & Beyond, we’re launching the newest addition to our journal portfolio, Nanoscale Advances at the booth on Tuesday afternoon. 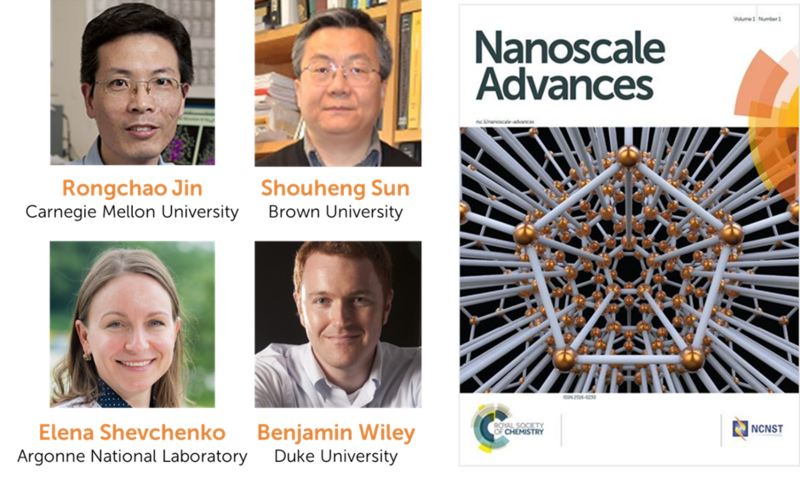 This will be a nice opportunity to meet Associate Editors Shouheng Sun at Brown University, Benjamin Wiley at Duke University, Rongchao Jin at Carnegie Mellon University, and Elena Shevchenko at Argonne National Laboratory. We enjoy supporting opportunities for early career researchers with sponsored sessions throughout the meeting and corresponding web collections within the journals. View additional content in the Polymer Chemistry Emerging Investigators, 2018 web collection. The symposium features work across the Environmental Science sister journals Environmental Science: Processes & Impacts, Environmental Science: Nano, Environmental Science: Water Research & Technology. Read about the speakers on the blog post and view content from the Emerging Investigator Series for each journal. Presided over by Editor-in-chiefs Kris McNeill (ESPI), Peter Vikesland (ES Nano), and David Cwiertny (ESWRT). Annually sponsored by Chemical Society Reviews and Organic & Biomolecular Chemistry. Read the Chem Soc Rev 2018 Emerging Investigators and the OBC New Talent web collections. PHYS: Ultrafast Molecular Sciences by Femtosecond Photons & Electrons: Symposium in honor of Ahmed Zewail with support from Faraday Discussions, as detailed in the blog post. INOR: Recent Advances in the Photochemistry & Photophysics of the P-Block Elements with support from Dalton Transactions in the form of Outstanding Poster Presentations. If you plan the attend the ACS Meeting in Boston, we hope to meet you in person either at the booth or during the technical sessions! We are happy to announce the recipients of the 2018 Certificate of Excellence! Back for its second year, this special program was developed to recognize outstanding students who have shown special achievement in the chemical sciences. Join us in congratulating these stellar students who are being honored by their departments for their achievements. We first introduced the Certificate of Excellence in 2017 as a way to recognize the younger generation of students who have shown interest and curiosity and a passion for learning in the chemical sciences. If you’re interested in getting your department involved in future Certificate of Excellence programs, please contact us at americas-editorial@rsc.org. The Faraday Discussion conference series are true to name. They honor Michael Faraday, who made seminal contributions to electrochemistry. Each conference has a scientific committee that invites world-class speakers on a key topic focused on physical chemistry and interfacing fields. The Discussions part of the name reflects the core emphasis of the meeting with a 5-minute talk from a speaker, followed by 25 minutes of discussion. It may sound challenging to highlight a research project in 5 minutes, but it’s possible since accepted speakers submit papers which are circulated to attendees in advance, with the expectation that attendees read all papers before arriving. 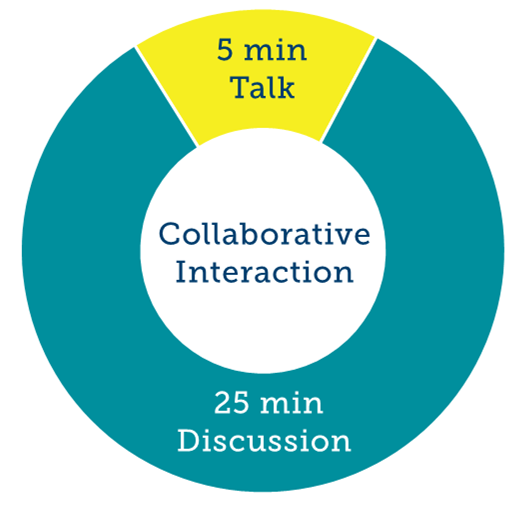 After the initial 5-minute talk, anyone can speak for up to 5 minutes. In the past, attendees have prepared comments, questions, and even short presentations of their own work to confirm or raise concerns about results. Attendees can also submit posters for consideration by the scientific committee. Once accepted, poster presenters can make contributions to the Discussion itself, including showing their own work if pertinent, and there are prizes to recognize exceptional work. Since not everyone can attend the meeting in person, the corresponding Faraday Discussions volume publishes all discussion remarks alongside the papers and poster title and abstracts. Updates and highlighted content can be found on the Faraday Discussions Blog. The Committee organized the following distinguished speakers in the area, including Gordana Dukovic from University of Colorado Boulder, Advisory Board member for Sustainable Energy & Fuels; Greg Scholes from Princeton University, Advisory Board member for Materials Horizons and Chemical Science; and Emily Weiss from Northwestern University, Advisory Board member for Materials Horizons. We had a chance to hear from Committee Co-Chair Divisional Dean and Professor Stephen Bradforth, at University of Southern California, who shared his perspective. What surprised you/was your favorite part about your first Faraday Discussion Meeting? What inspired you? I attended my first Faraday Discussion at the University at Nottingham on the subject of Structure and Dynamics of Reactive Transition States. For me, as a graduate student in Berkeley, it was a return to Britain after three scientifically rich years in California. The format of the meeting was incredibly engaging. Seeing names familiar from the literature as speakers wrestling with only 5 minutes to summarize their work! But immediately followed by an in-depth questioning and scholarly discussion of each speaker’s written paper that revealed what was fact, what was conjecture and what simply wasn’t known. It was invaluable for a student finding his feet in the field of physical chemistry. Why did you decide to get involved and why do you think the topic of the meeting is timely? I was persuaded by Mike Ashfold and Tom Oliver, with whom I had collaborated on two Faraday Discussion contributions over the years, that it was time to bring the Faraday Discussion to the west coast of the USA. In fact, this is the first time an FD has been held west of Chicago, and about time too! This meeting, on Photoinduced Charge and Energy Transfer, comes after a recent trans-disciplinary surge in activity to better understand solar energy conversion, both in natural photosynthetic systems and in man-made materials, spurred by the formidable energy challenge in front of us as a society. What do you hope prospective attendees will gain from the upcoming meeting? The goal of the meeting is to bring together experts from several areas, spectroscopists, biophysicists, theoretical chemists, and materials scientists, to uncover the basic design principles for efficiently converting the energy delivered in a photon into useful chemical potential. And all while considering the potential photodamage to the molecular and nanoscale architectures employed. FD attendees will gain a window on the array of contemporary advanced tools, both experimental and theoretical, that are being developed to attack this scientific grand challenge. The oral abstract deadline is approaching in July, but there is still time to submit either oral or poster abstracts. Monetary support in the form of travel grants of at least £200 are available for early-career RSC members (only £20 for students), within 10 years of completing their PhD or still students, as detailed in the bursary section of the website. We hope you take advantage of the opportunity to share your ideas and connect with the community in a uniquely interactive meeting. Whether you’re a spectroscopist, biophysicist, computational or theoretical chemist, physicist, or a material scientist working in photo-induced biomolecular and nanoscale dynamics, join us for the first Faraday Discussion in California. You are currently browsing the archives for the USA category.